After a tenten-day visit, I can say that London is a fantastic place to visit however it can burn a hole in your wallet or purse. Today’s exchange rate is about $1.30 US dollars for every 1 pound (Lb). 1. The British Museum: Ranked #15 of top 25 places to visit in the “world” in Lonely Planet’s August 2015 survey. It’s 1 of only 2 museums listed (the other is in Australia). This massive museum houses priceless artifacts from all 7 continents. It’s set up by country and subdivided by era. It’s also free! Was so nice I went twice. They suggest a 5-pound donation however not mandatory. 2. 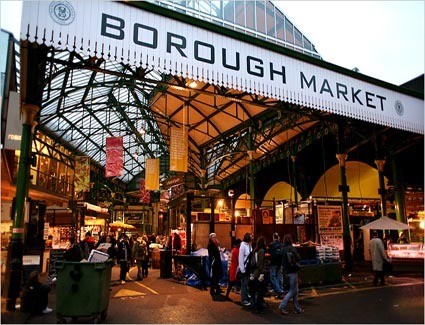 Borough Market: A hidden gem located walking distance from London Bridge. Words don’t describe how interesting it is (see my FB pictures). Before 5 pm the market is loaded with tasty treats. Some of the best cheeses I’ve ever had. After 5 pm it’s filled with locals getting out of work. 3. Tate Modern Museum: an art gallery with pieces (Picasso’s and Warhol’s) mostly from 1900-present and is 1 of 4 Tate galleries in the UK. There’s a great balcony for pictures of the Thames river and St. Paul’s. It’s located a short walk over the millennium bridge across from St. Paul’s cathedral. It’s about 75% free as there’s one floor with current exhibits that they charge for. Also, check out the lounge area with couches the unique activities for the kids. They can draw and be creative and see their drawings projected onto the wall. A 4-pound donation suggested not mandatory. 4. Camden town: Reminds me of our Greenwich village in Manhattan. Cool hipster edgy area with interesting vintage clothing shopping and people watching. Go to their Camden market which used to be horse stables that were converted into many little unique booths. Great place to find the same goods as centre city London for less than half the price. For you shopaholics (you know who you are, lol) also visit Harrods department store. It takes Saks 5th avenue to a whole new level. 5. The National Gallery: This gallery has one of the best collections of paintings in the world. Read the captions as I was interested to see some of the pieces were given to the gallery in lieu of paying estate (inheritance) taxes. It’s located in Trafalgar square which is a really fun place to just walk around. The architecture is breathtaking! 6. London Rock Tour: This is a bonus tidbit although it’s not free. There are two different mini-bus tours 9-1 and 2-6 that cost about $50 each. They are run by a former band promoter named Bob. Go to Abbey road and abbey road studios. See Paul McCartney’s house, the Rolling Stones sticky fingers restaurant and get great stories of these British bands on their way up.